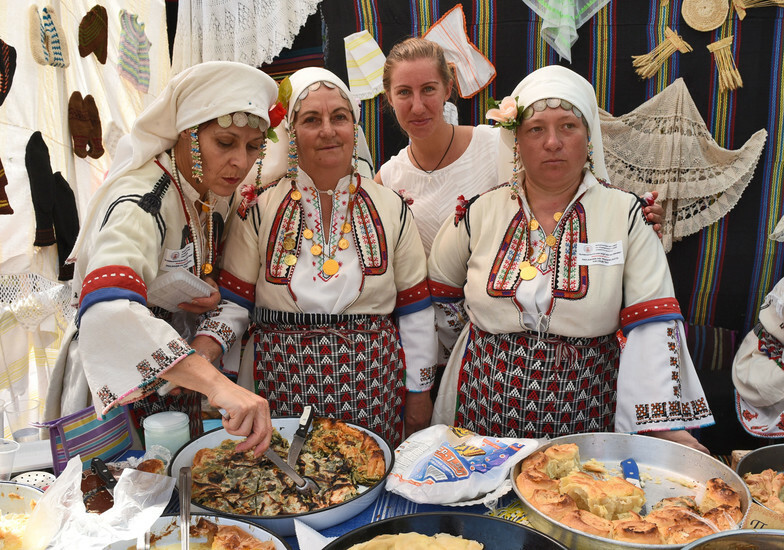 Deep in the farthest reaches of the eastern Rhodope mountains, the small town of Ivaylovgrad hosts a fascinating culinary festival at the beginning of September each year that is helping to turn it into a cult destination. 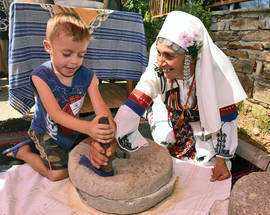 On the border with Greece and Turkey, the festival attracts visitors from both neighbouring countries as well as from much farther afield, eager to enjoy the authentic tastes, sounds and sights of the mountain region. 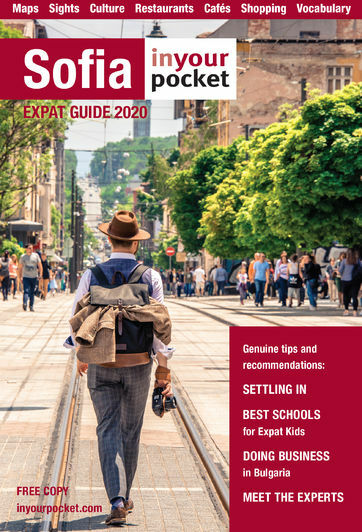 From homemade banitsa, honey and tahini, desserts and local drinks to the regional speciality 'ribnik' - a ramekin fish and vegetables stew, visitors can sample all the wares displayed on the central square. 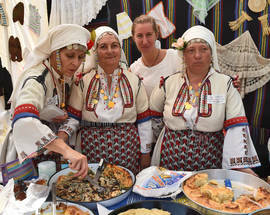 Locals, dressed in their intricately decorated folk costumes, demonstrate how their regional dishes are prepared. A competition adds a bit of fun to the whole event: prizes are awarded for the best homemade pickles, the best fish dish (don't forget we are close to a large dam! ), the best pastry dish, the most intriguing local custom and more. 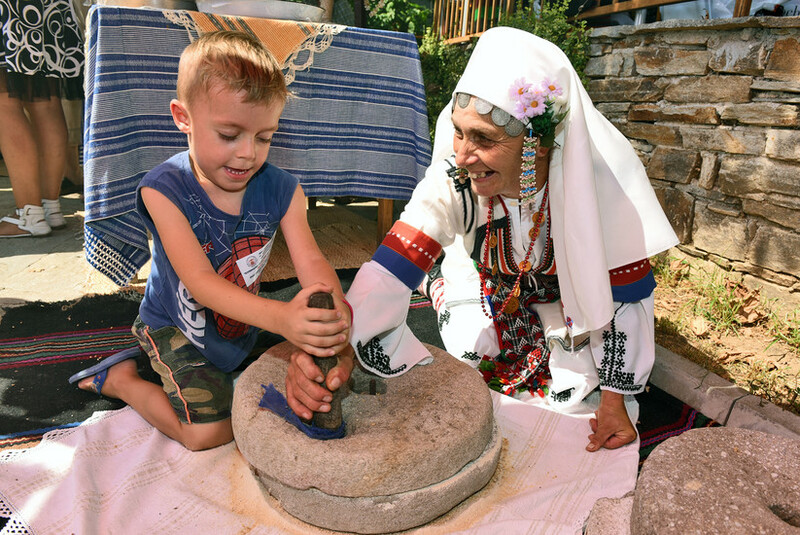 Visitors can roll up their sleeves and join in with some cooking at the various workshops, delight at the display of national costumes and enjoy demonstrations of long-forgotten practices and customs, such as stitching and needlework. 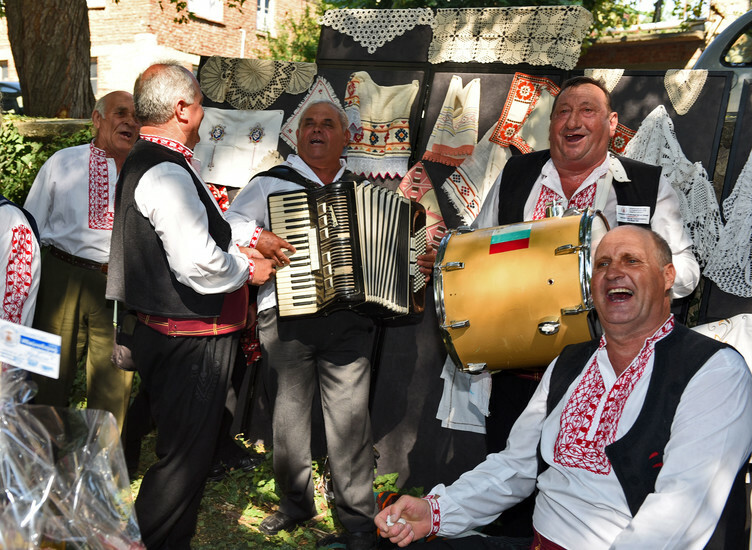 Musical entertainment is provided by folk singers and musicians from the surrounding villages - let's not forget that the Rhodope mountains are the mythical abode of Orpheus the lyre player who could enchant anyone with his music. In this region music is in the blood. 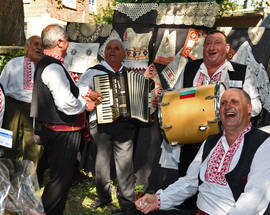 Musicians from across the border in Greece and the twin town of Lungo in France also take part. Check out the event's Facebook page for more information and photos. ​Ivaylovgrad's popularity as a tourist destination is growing thanks also to various local attractions, such as the beautifully restored Villa Armira, a 2000 year old mansion house from the Roman era. Dating from the second half of 1st century AD, the Villa was the residence of rich Thracian landowners, erected shortly after the conquering of Thrace by Rome. The 22 room villa is the richest and most complete example of a private residence from the Roman era in Bulgaria and boasts intact mosaics, richly decorated capitals and scultures from the era. The owners would have enjoyed the breathtaking view of the Rhodope mountains from the large terrace. See the Villa's site for information about opening times and photos. The nearby fortress at Lyutitsa, the St. Konstantin and Elena church in Dolno Lukovo and the wild orchid reserve beside the Byala river are just a few of the many local attractions.